Dr. Brian C Kroll, DO is a Doctor primarily located in Spring Hill, FL. His specialties include Family Medicine. He speaks English. The overall average patient rating of Dr. Brian C Kroll is Good. Dr. Brian C Kroll has been rated by 95 patients. From those 95 patients 30 of those left a comment along with their rating. The overall rating for Dr. Brian C Kroll is 3.4 of 5.0 stars. I called and left a detailed message on the doctor's office voicemail during office hours. It has been 2 weeks with no answer. It's one thing to try and call and hang up-it's another to have your message ignored. I found a doctor's office that runs efficiently. Good visit. Answered all my questions. Takes weeks sometimes more than a month to see doc but very good doctor. Staff rarely returns messages, and sometimes after lunch they do not turn off voice mail service and you can’t reach them. The best family doctor . He really cares. A really good doc, takes the time to diagnose and discuss with patient their options. Is always willing to fit in a patient when needed, and is understanding of the effect of medical problems on patients lives. Take a minute to learn about Dr. Brian C Kroll, DO - Family Medicine in Spring Hill, FL, in this video. Dr. Brian C Kroll is similar to the following 4 Doctors near Spring Hill, FL. 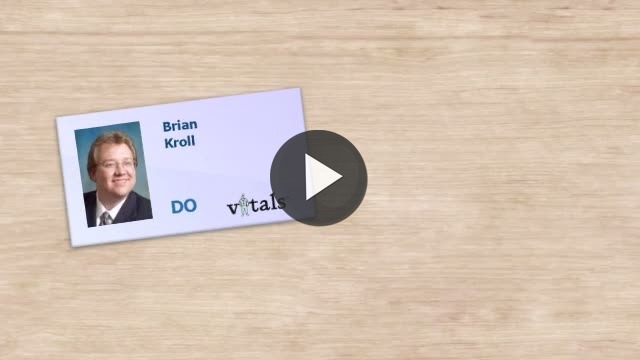 Have you had a recent visit with Dr. Brian C Kroll? Select a star to let us know how it was.